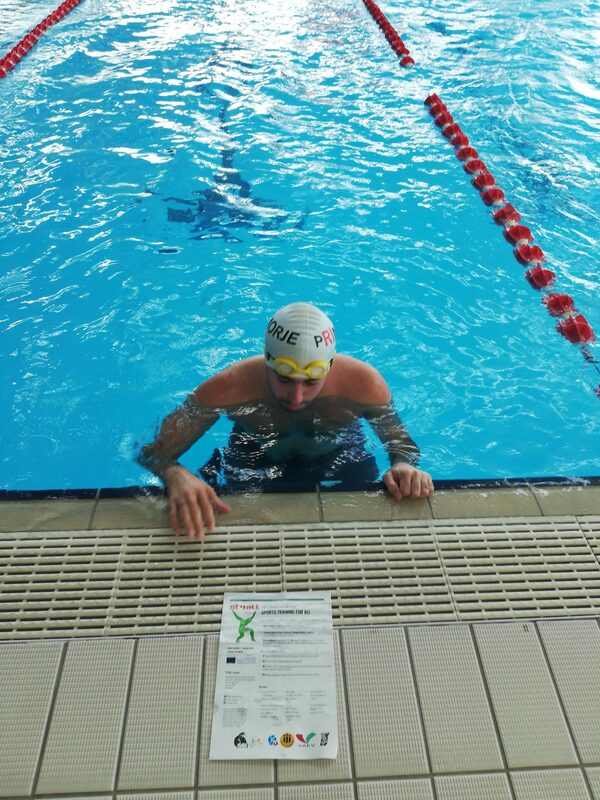 On October 13th, 2018, at the Kantrida Pools Complex, an Education for the Students of the Faculty of Health Studies in Rijeka was held, as part of the “Sports training for all” – ST4ALL project, regarding swimming for persons with disabilities. 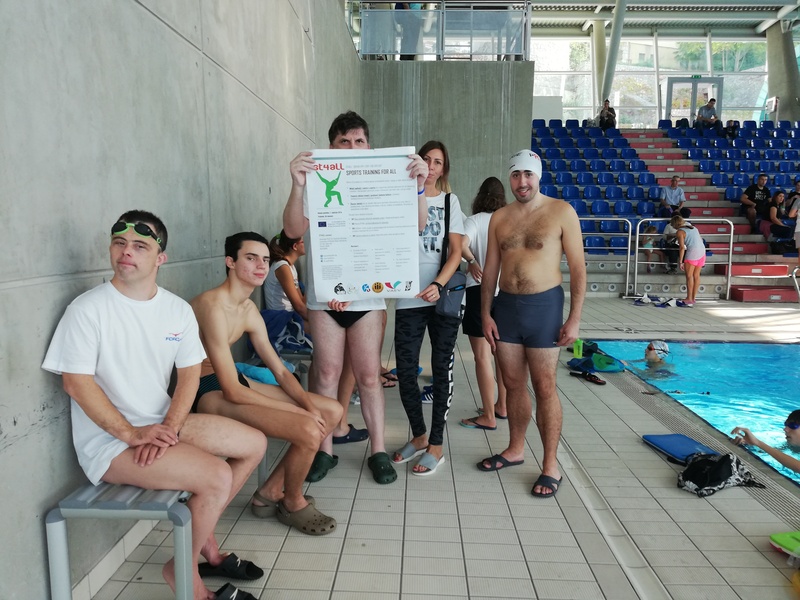 The students had a chance to hear the lecture about the benefits of swimming for persons with disabilities, and also to gain insight into practical work with them, via demonstration of the training session of the persons with disabilities. Through this presentation, as part of the “Sports training for all”, ST4ALL project, the students were motivated to undertake sporting activities outside of their faculty and gain knowledge and insights for their future profession. Bearing in mind that more and more pupils and students with disabilities are being included into educational institutions and organizations of young people without disabilities and are getting into the sporting activities, the professors and trainers are dealing with the problem of insufficient education regarding inclusive sports. The goal of the project “Sports training for all” – ST4ALL is, therefore, to educate professors and trainers about organizing inclusive sporting activities. It is considered that it is precisely these types of activities that could be crucial for the inclusion into the community at large. Eight partners are taking part in the project “Sports training for all” – ST4ALL, coming from these countries: Bulgaria, Turkey, Belgium and Austria and Croatia. 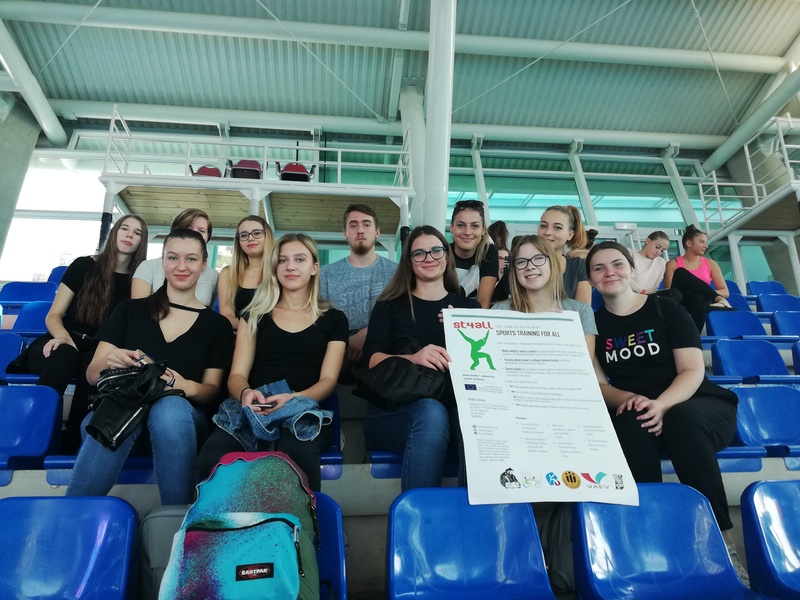 The main partner of the project is the University of Plovdiv, Paisii Hilendarski from Bulgaria, while Croatia is represented by the Rijeka Sports Association for Persons with Disabilities. The budget of the project “Sports training for all” – ST4ALL is 355 643 euros, and is co-financed by the EU through the program Erasmus + Sport – Collaborative Partnership. The period for costs permissibility lasts from January 1st, 2018 until June 30th, 2020.